Bollywood actor Fardeen Khan has been away from Bollywood since more than seven years. 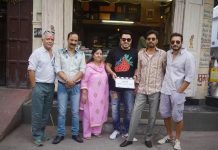 The actor was last seen in the film Dulha Mil Gaya in 2010. 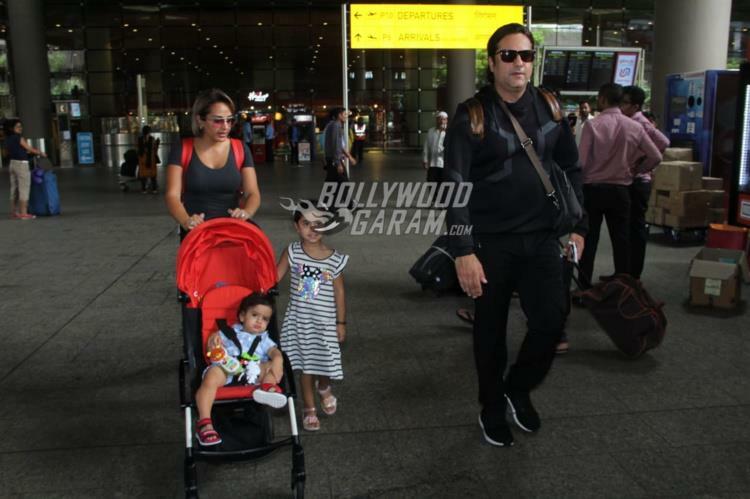 Fardeen was snapped with his wife Natasha Madhvani and their two children at the Mumbai airport on August 10, 2018. The Prem Aggan actor looked cool in a black pullover and black track pants with black sneakers while Natasha looked pretty in a grey top and track pants. Fardeen’s son was seen on a stroller while daughter was seen walking along with them. Natasha and Fardeen got married on December 14, 2005 and together they have a son and a daughter. Fardeen has been active in Bollywood since 1998 and made his debut with the film Prem Aggan. The actor has starred in some of the films like Bhoot, Janasheen, Fida, Aryan, Pyare Mohan, Heyy Babyy, Jai Veeru, Life Partner, Acid Factory, All The Best, Shaadi No. 1, No Entry, Dev, Dulha Mil Gaya and others. Fardeen was recently in news when some of his pictures had surfaced online and showed him overweight.